Swing bridges have become a rare commodity on our roads today. Built using a center pier designed to turn the span at a 90° angle, most of them were built using mostly Howe, Lattice, Baltimore or even Warren trusses. There are many examples of such bridges that used to exist but have long become a distant memory, like the Hojack Swing Bridge in Rochester, New York, The Willis Avenue Bridge in New York City, The Inver Grove Heights Swing Bridge south of Bloomington and the Burlington Railroad Bridge. The engineers who built these bridges during the heyday of industrialization (1870- 1920) went out of their way to make the swing bridges not only functional for horse and buggy to use and to allow ships to pass, but also appealing to tourists and later historians and preservationists. This bridge in the city-state of Suffolk, Virginia is another example of an appealing swing bridge that has long since been demolished. Judging by the picture submitted by Nathan Holth, this bridge appears to have been built of iron and has one of two designs: 1. A pair of kingpost truss spans supported by a central panel consisting of two pairs of vertical towers with light weight diagonal beams holding the trusses made of heavier iron together or 2. a Camelback truss bridge whose center panel is thinner and lighter than the two outer panels. 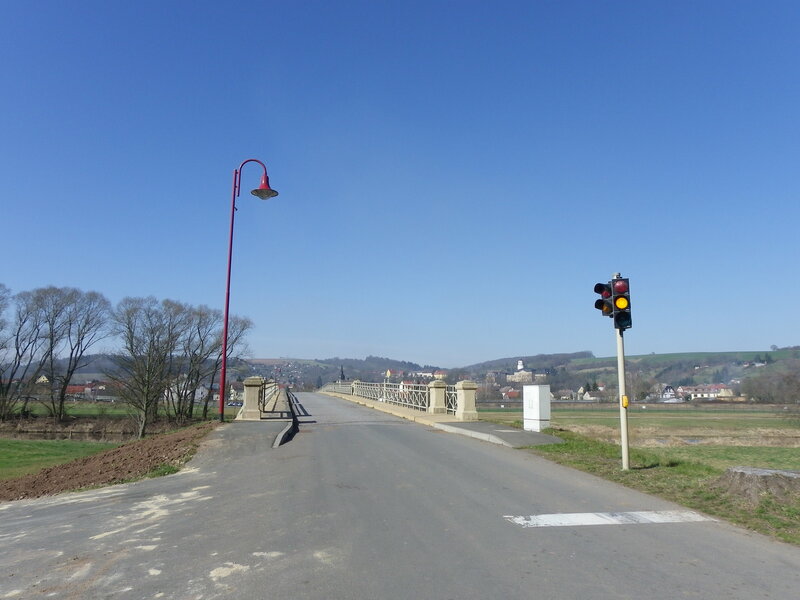 In either case, the bridge was a hand-powered swing bridge, used to allow boats to pass. 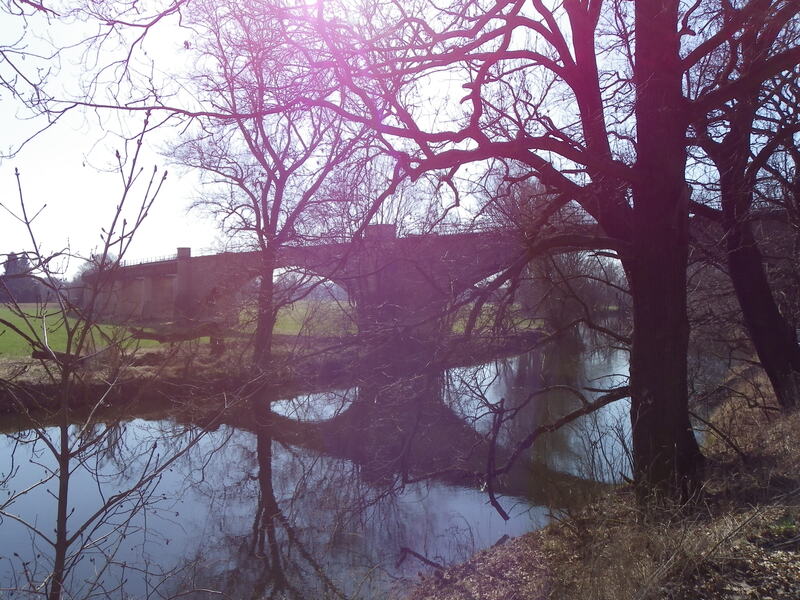 It is similar to another photo that was submitted by the same person but located at Reed’s Ferry in Virginia. The problem with both bridges is threefold. First of all, while the designs are similar to each other, it is unknown who designed and built the bridges, let alone when they were constructed, except to say that for the last question, it appears that the period between 1875 and 1895 would best fit for iron was used often for bridge construction before it was supplanted by steel after 1890. Also unknown is the location of the swing bridge, for in the top picture, it was claimed that it was located in Everet’s, whereas in the bottom photo, it was located at Reed’s Ferry. It should be confirmed that Everet’s was located in Nansemond County, which was subsequentially absorbed into the city-state of Suffolk in 1974. While Suffolk has a total population of 1.7 million inhabitants as of present (including 87,000 in the city itself), its land size is the largest in the United States and is larger than the German states of Hamburg, Berlin and Bremen, as well as the Vatican City and Monaco combined! Given the village’s absorption, it is unknown whereabouts it was located when it existed prior to the 1970s. 1. When did Everet’s and Reed’s Ferry exist? 2. 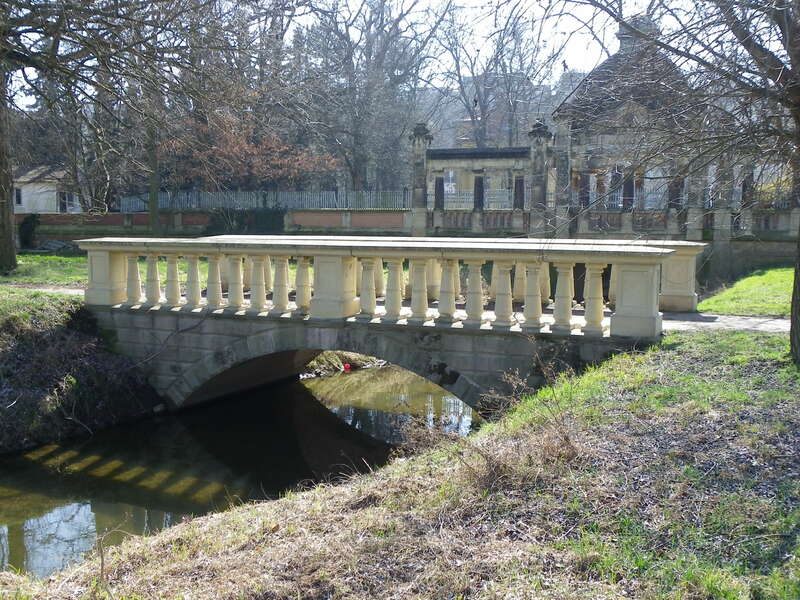 When were the bridges in their respective communities were built and who built them? When were they removed? 3. When was the Nansemond River dammed and the lakes created? 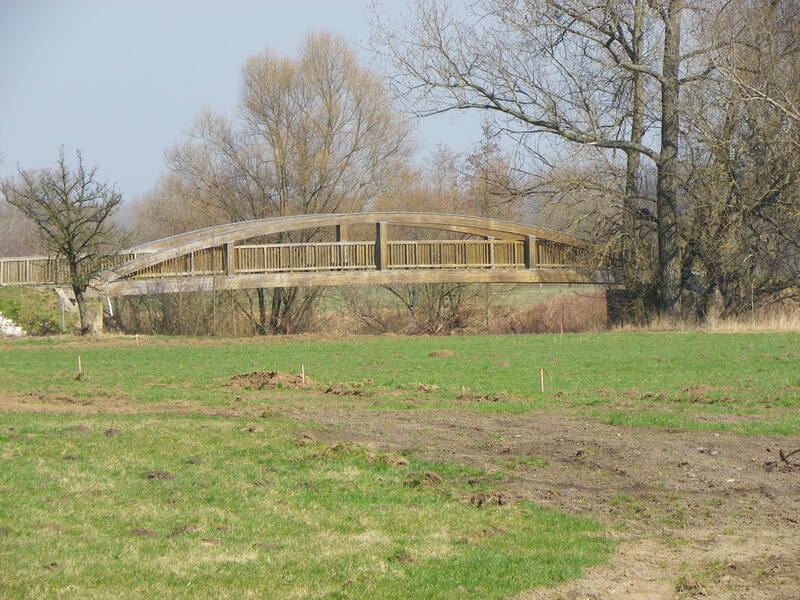 All information on the two bridges should be directed in the Comments section of James Baughn’s Bridgehunter.com website by clicking on the name Everet’s Bridge. You can also add any information on Reed’s Ferry Bridge in the Comment section if you have any that will be helpful. The Nansemond County portion of the city-state of Suffolk has a unique history of its own, as it was named after Nansemond, a native American tribe who lived along the river at the time of the arrival of the English colonists in Jamestown in 1607. Under the name of New Norfolk County, it became one of the oldest counties in the US, having been established in 1636. After being divided into Upper and Lower Norfolk in 1637, the Upper portion became Nansemond County in 1646 with the county seat later being Suffolk (it was established in 1742 and was a county seat eight years later). It remained a county seat until Suffolk and Nansemond became a city-states in 1972. Interesting note was the fact that Suffolk had been an independent city from 1910 up to then. Subsequentially Nansemond became part of the city-state Suffolk two years later. A city-state in this case means that even though it is part of the Commonwealth of Virginia, it is an independent city, having its own government and laws as well as responsibilities for its infrastructure, education system, and the like. Virginia still supports Suffolk with funding, but has little influence on the activities of the city-state, making it similar to the aforementioned city-states, as well as the Spanish state of Catalonia, which is much larger than Suffolk. A lot of activities went on this weekend involving several bridges in the US and Europe, but the biggest ones happened to occur in Germany, for while several historic bridges have fallen to progress, one made history even though it is not open to traffic just yet. Here are the headlines you need to know. 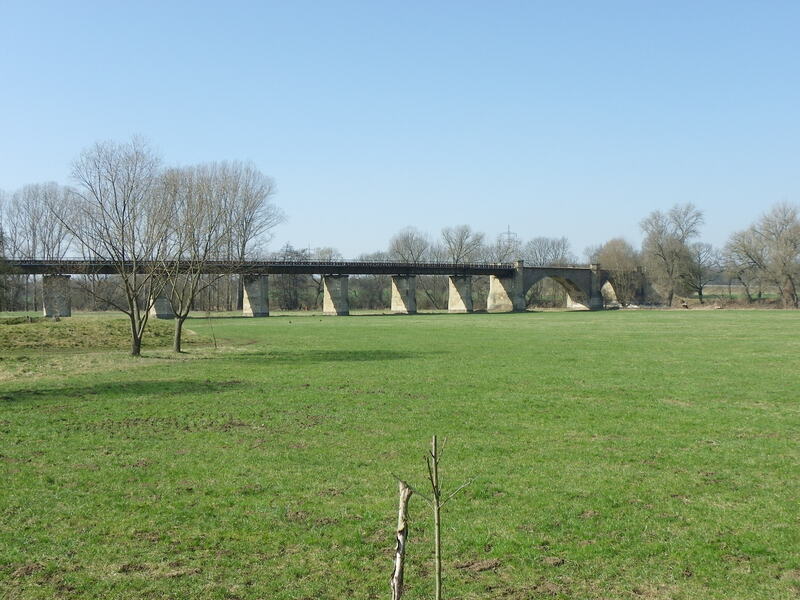 Saale-Elster Viaduct near Halle (Saale) completed. To be used for rail traffic in 2016. 6.5 kilometers long- equivalent to over four miles. 20-30 meters tall, tall enough to ride over the waters of the Saale and White Elster Rivers even if the fields and roads are underwater. 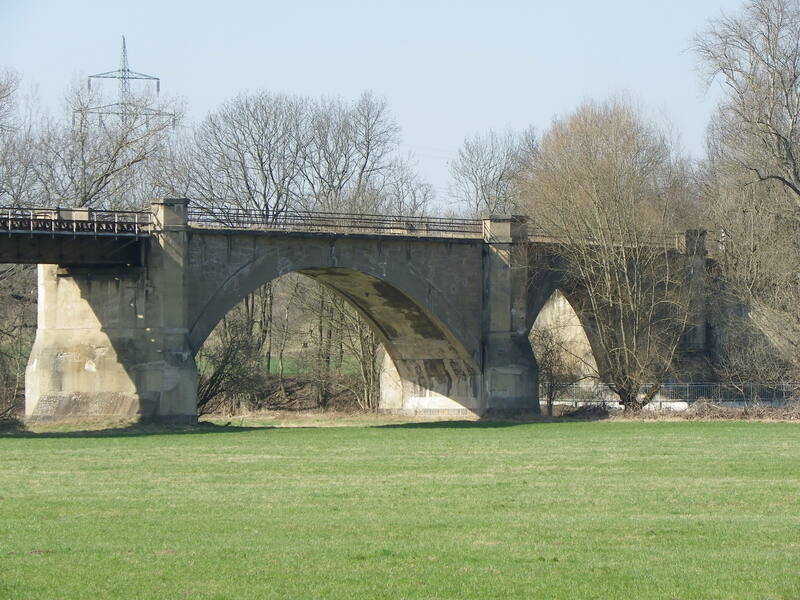 All concrete except for the steel through arch span spanning a 2.1 kilometer approach viaduct connecting Halle (Saale) and the main railline. Those are the features of the new Saale-Elster Viaduct, which was completed this past Saturday at a cost of over 800 million Euros, mostly financed by the federal government and the Die Bahn (German Railways). It is part of the multi-billion Euro project that has been ongoing since 1992 and features not only this bridge, but hundreds of other bridges and tunnels as the new ICE-train route will connect Leipzig and Halle with Nuremberg via Erfurt. When the bridge is open to traffic at the beginning of 2016, all trips between Berlin and Munich as well as Frankfurt (Main) and Dresden will be cut in half as the ICE trains are expected to travel up to 350 kmph (180 mph) to their destinations. 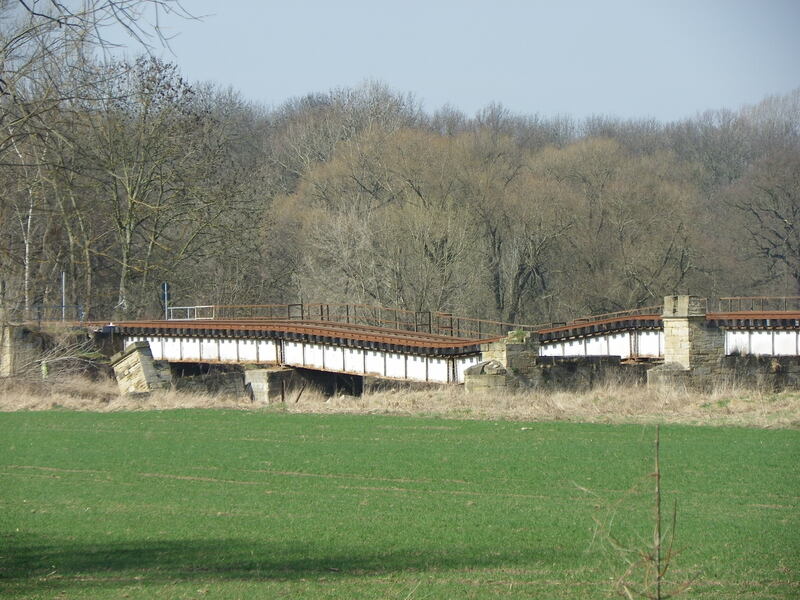 The viaduct can be seen along the InterCity railline connecting Halle (Saale) and Jena just after crossing the historic Skopau Bridge spanning the Saale River south of the southernmost city in Saxony-Anhalt. 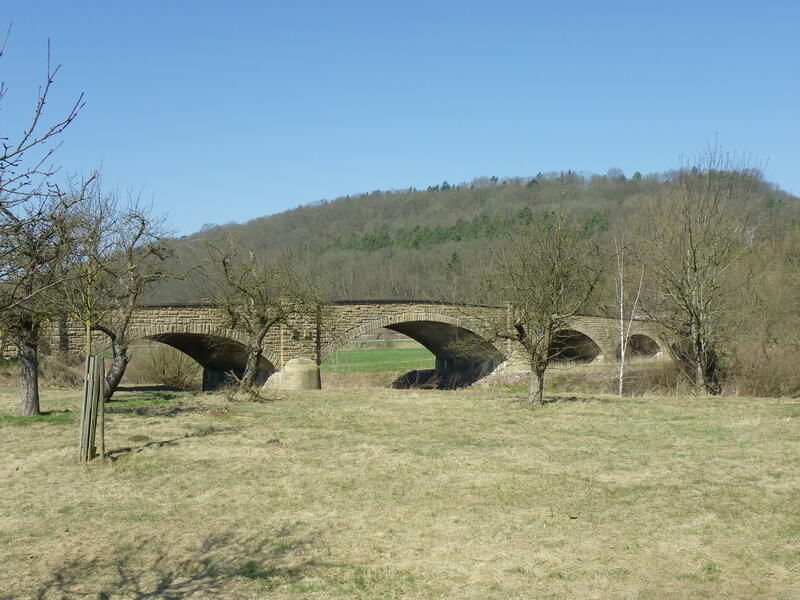 This bridge is not only the longest railroad viaduct in Germany- even surpassing another ICE-Viaduct the Rombachtal Viaduct in eastern Hesse, which still holds the title as the second tallest in Germany. The bridge is the longest vehicular viaduct in Germany, surpassing the Motorway A6 viaduct near Neckarsulm in Baden- Wurttemberg. Autobahn Motorway viaduct near Fulda demolished. 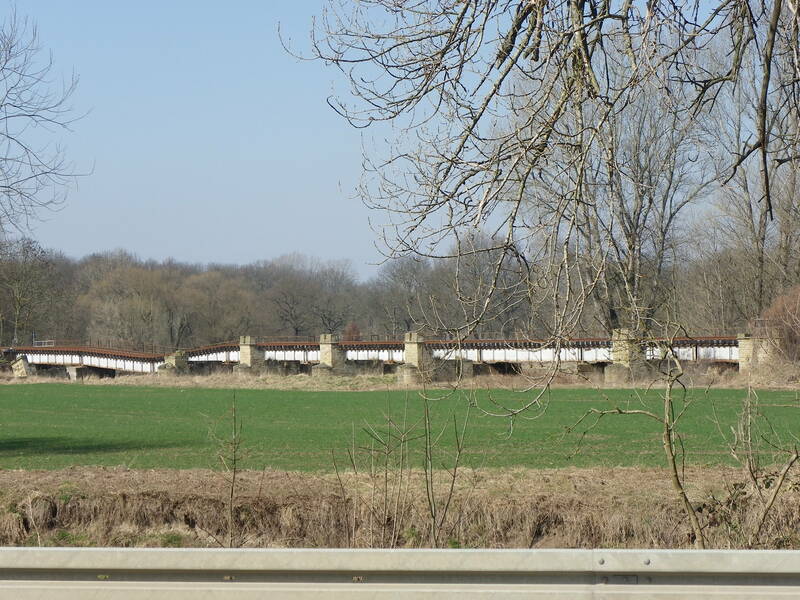 Heading 230 kilometers to the southwest to northwestern Bavaria, another viaduct made the headlines but in a different way. 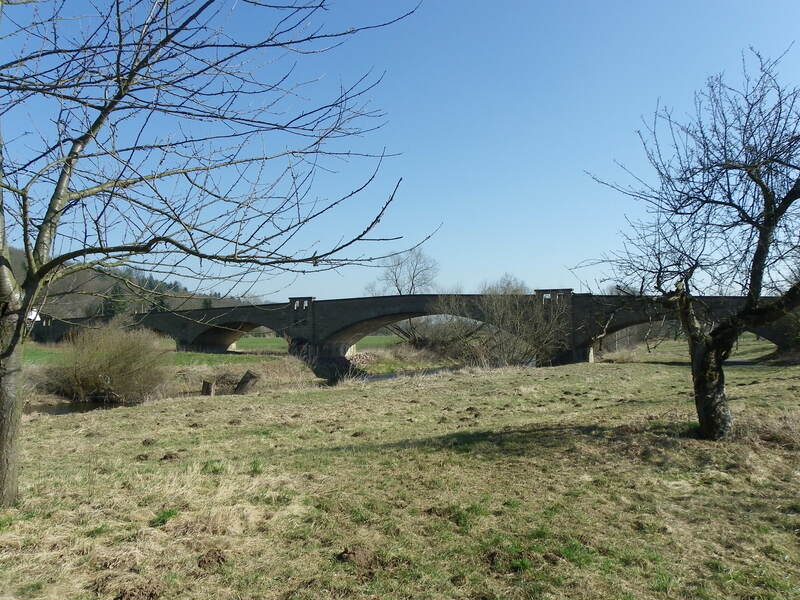 Located in Bad Bruckenau in the district of Bad Kissingen, east of Frankfurt (Main), the Sinnetal Viaduct made headlines for the 46 year-old viaduct made of steel and concrete was imploded on Saturday. As many as 8,000 spectators watched in awe as explosives installed in the concrete columns were detonated, and the entire structure fell 100 meters to the ground in four seconds. Built in 1967 to serve the longest and most heavily traveled Autobahn A7 connecting Flensburg and Austria, the 800 meter long bridge became the poster boy of how concrete bridges were treated, with salt and other substances that penetrated the concrete and steel causing rust and erosion, and with heavily travelled vehicles, some of which went over the weight and height limit. Already in 2009, construction had started on its replacement and was completed and opened to traffic at the beginning of this year. The demolition of the old bridge (shown here in this article) should serve as a reminder to state and federal agencies that even modern bridges require maintenance in order for them to last longer than 50 years. There’s no such thing as a bridge requiring no maintenance and lasting 100 years and the Sinnetal Bridge should serve as an example for agencies to rethink the way bridges are being handled by traffic. Truss bridge replaced with another truss bridge. Old bridge to be reused. 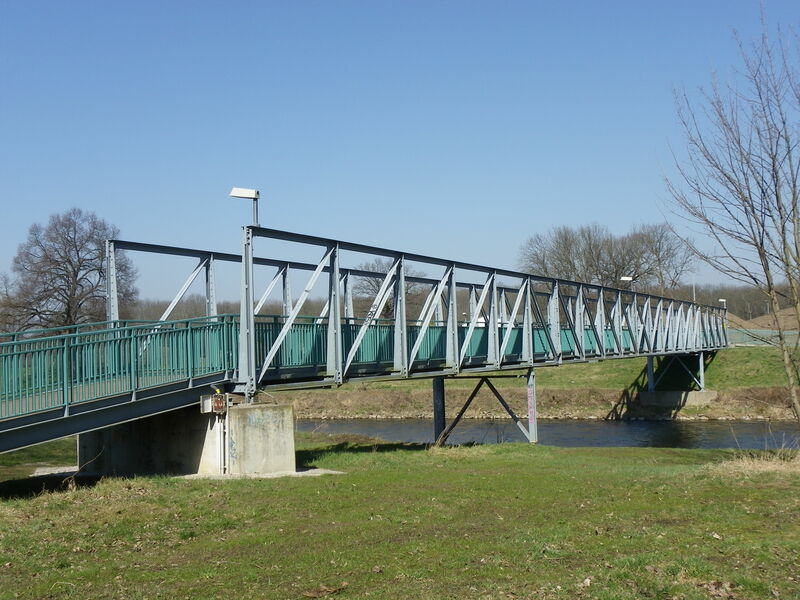 Sometimes it is not necessary to replace truss bridges with concrete bridges, but with another truss bridge. Such trends have been reported in states, like Ohio, Indiana, Kentucky and Virginia, for they are conventional and the aesthetics match the scenery than a white bland bridge. But for this bridge, the Magodee Bridge in Franklin County, Virginia, it may set a new trend for other historic bridges receiving new life. 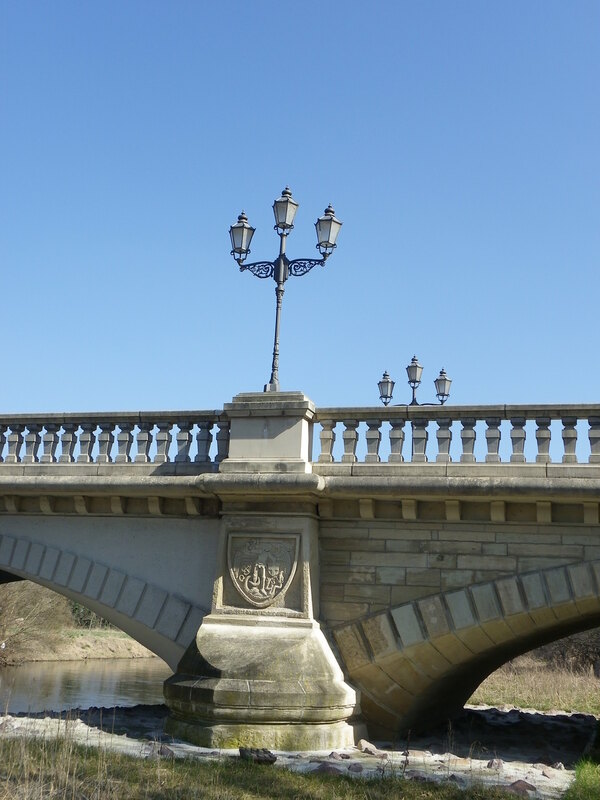 The 1929 Warren pony truss was replaced recently with- another Warren pony truss! The length is almost identical and both have riveted connections! The difference? 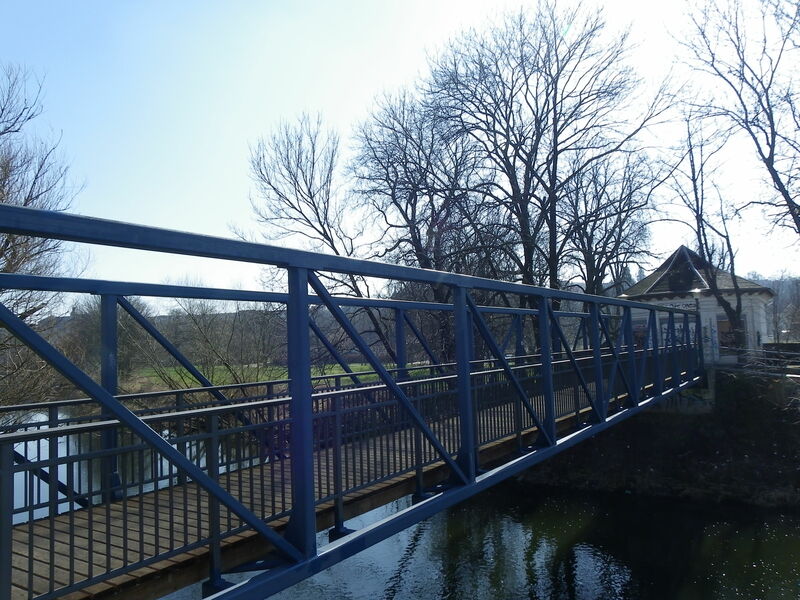 The new pony truss bridge is now used for vehicular traffic, while the old pony truss span, now located behind the old mill, as seen in the pics courtesy of Donald Sowers, will receive new life as a pedestrian bridge located only a few hundred meters from the existing structure! Wouldn’t you like to have an old bridge and a new nearly identical span located not far from each other being used as a tourist trap? For the owner of the mill and the old bridge, the dream will become a reality. For more information on how to make the reality come true, please contact Mr. Sowers at this e-mail address: desowers@centurylink.net. 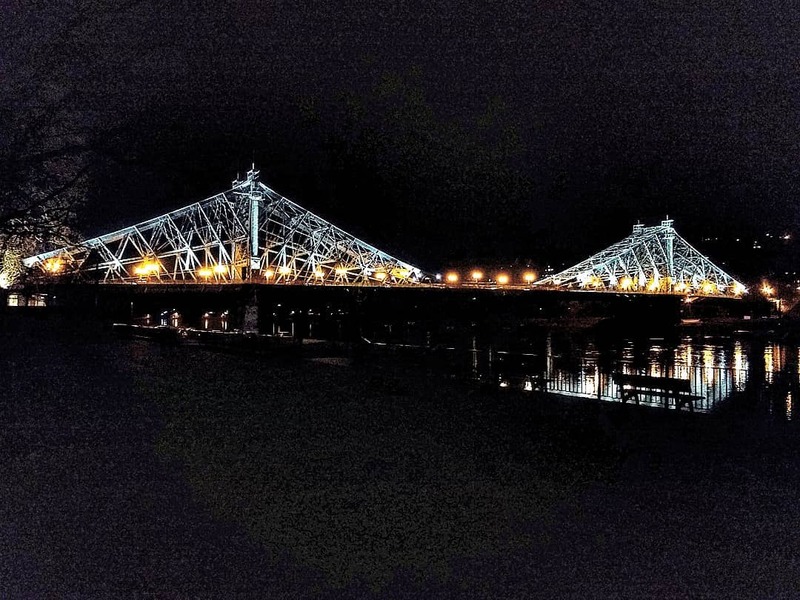 Nearly a month after the spectactular collapse of the Skagit River Interstate 5 Bridge in Washington state, the collapsed portion of the bridge was rebuilt, using Bailey trusses, and the bridge was reopened to traffic on Friday. But there are several exceptions: No oversized trucks and vehicles requiring special permits will be allowed to use the bridge and will be forced to take the detours that have been used since the collapse. The speed limit has been reduced to 40 mph instead of 60 as enforced before the accident. And the spans are only temporary as the state and federal governments are planning a more permanent crossing, although it is unclear whether the temporary span will be rebuilt as a permanent span or if the entire bridge itself, built in 1956 featuring a Warren through truss design, will be demolished in favor of a newer and even wider bridge. The Chronicles will keep you up to date on the developments regarding the bridge. 29 new bridges in 19 kilometers along the German Autobahn 9! Built in 1936, the German Autobahn Motorway 9, connecting Berlin and Munich is known as the oldest freeway in Germany, and one of the oldest freeways in the world with many historic markers, including the oldest motorway inn Rodatal in Thuringia, the Vockeroda Bridge and neon marker in Saxony-Anhalt, the Hirschberg Restaurant, one of only two located over the motorway in Germany, and the Bridge of German Unity located at the Bavaria-Thuringia border which also served as the border crossing between East and West Germany. Since 1990 the 530 kilometer (330 mile) route was expanded from four lanes with no emergency lanes to six lanes with emergency lanes to provide safety and efficiency along the highway. This includes the replacement of bridges and overpasses dating as far back as 1936. At the present time, construction is commencing on the last bottleneck between Triptis in Thuringia and the Bavarian border- a span of 20 kilometers. With that, the last of the 1936 bridges and overpassees are coming down for they no longer are able to accomodate the increase in traffic. This includes 18 overpasses and the expansion of the border bridge, built in 1966 replacing the 1936 structure that was destroyed in World War II. 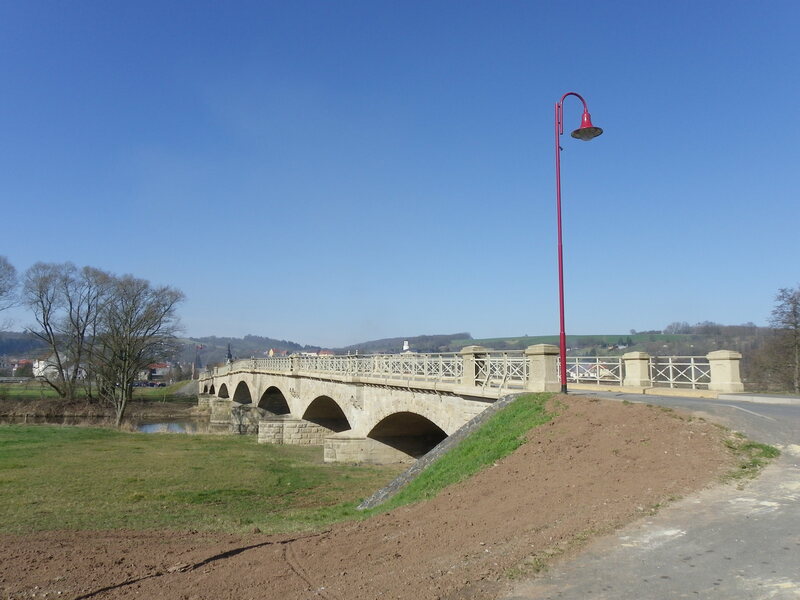 Overall, there will be 29 new bridges with modern but attractive appearances when the project is finished in 2014. 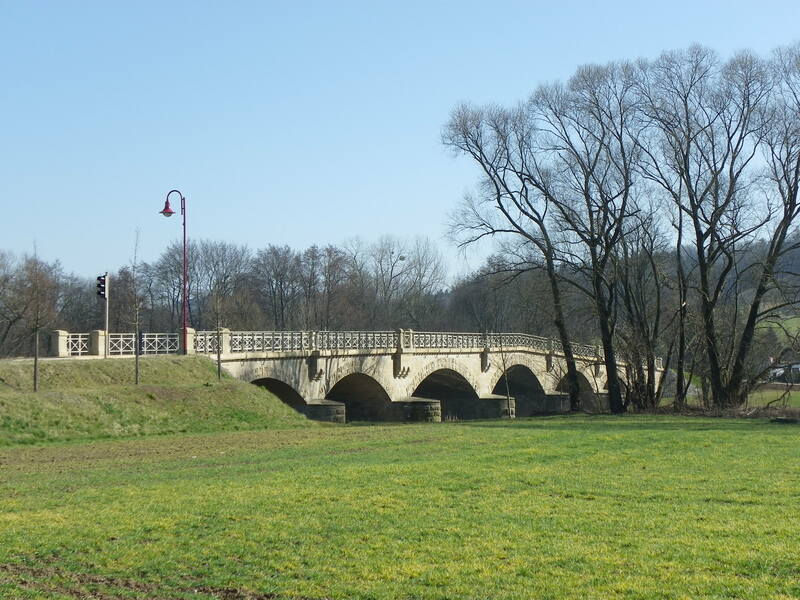 This includes the railroad bridge connecting the rail line between Schleiz and Ziegenrück on the Saale River. Out of service since 1990, there is hope that funding is available to build a new bridge and connect the two villages by train. At the moment, a dandyhorse rail service is being used by tourists, but once the railroad overpass is completed and the line reopened, the area will become a magnet for tourists again. There has been a lot of action that took place in the US this past week, which included an unprecedented series of explosions- two at the Boston Marathon and an atomic-size explosion that nearly destroyed a Texas town- combined with the pursuit of the terrorists and those neglecting the safety guidelines of the fertilizer plant, and lots of rage by Mother Nature, implementing her wrath on the Midwest with snow and flooding. And with that comes the demise of more historic bridges, but one was spared another potential terroristic plot to blow it up. How bad was this? The Bridgehunter’s Chronicles has a list of news headlines that have been compiled under its latest Newsflyer. The Whirlpool Rapids Bridge is a very important historic bridge in the Niagra Region for two reasons: 1. The 1897 steel deck arch bridge, measured at 329 meters long, and featuring a upper deck for rail traffic and lower deck for vehicular traffic is an important link between the US and Canada, serving rail traffic between New York and Montreal and Toronto. 2. It is one of two important historic bridges to see near Niagra Falls, as it is located 2.4 km from the Falls, where another arch bridge is located. It was refurbished in 2009-10 and is now owned by Amtrak which maintains the track and allows Canadian trains to cross. This bridge was a target of a terrorist attack that was foiled by the Royal Canadian Mounted Police on Monday, arresting two people who had connections with Al Qaida in Iran- one of which was of Tunisian origins. Both were Canadians. It is unknown how the planning was foiled for there was little information prior to the event, but had the attack succeeded, it would have resulted in massive loss of life among people in the train that they would have bombed in the process, car drivers and a historical landmark being destroyed, severing an important link between the two countries. The two men are currently in jail awaiting their fate. A close call for both countries, especially the USA, which was digesting its first terrorist attack since 9/11. 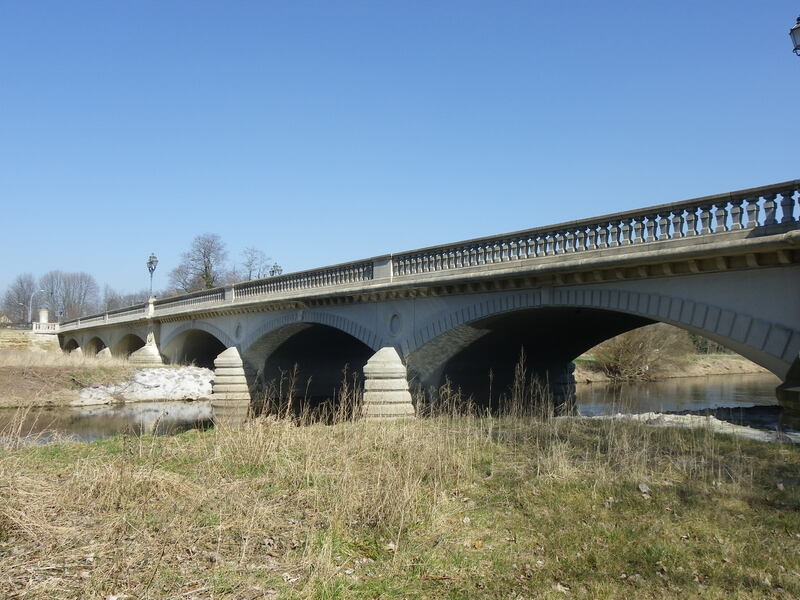 Two important Illinois historic bridges lost to flooding. “No way!” This was the reaction of the amateur videographer who filmed the demise of the wrought iron Pratt through truss bridge spanning Big Bureau Creek east of Tiskilwa in Bureau County on 18 April. Built in the 1880s by the Wrought Iron Bridge Company, the bridge had been abandoned for many years and like its cousin, the Maple Rapids Bridge in Michigan, it was also leaning to one side after sustaining previous flood damage. This most recent flood did the structure in. Half of the bridge is still in the water but the structure, which resembles the Jacobs Tavern Bridge in New Jersey, will most likely come out to be scrapped, as with another bridge. Part of the Golden Gate Bridge gone! The Doyle Drive Viaduct, located near the Presidio south of the Golden Gate Bridge is technically part of the grand lady. Built in 1936, the bridge features a rusty orange color, similar to the almost 76-year old suspension bridge. With the demolition of the bridge, it marks the loss of a piece of history. Currently this bridge is being replaced with a concrete viaduct as part of the plan to reconstruct the interchange with the road leading to the historic police station. This is part of a larger plan to modernize the Golden Gate area, which includes replacing toll takers of the grand lady with automatic electronic toll machines. This has taken place already. It makes people of San Francisco and other people who know about the bridge and its heritage wonder what will be done with the Golden Gate area next…. Yet there is a sign of life for one historic bridge with a pair of bonuses that are on the way. This time it involves the McIntyre Bridge in Iowa. 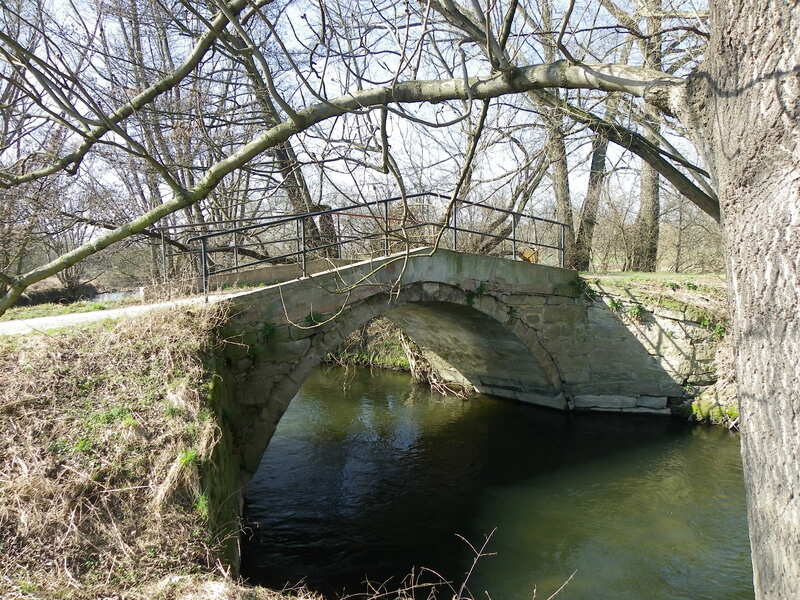 After suffering numerous set backs this year, a glimmer of hope has finally arrived for Julie Bowers and the crew at Workin Bridges, as Poweshiek County signed off on a grant for $184,000 provided by the Iowa DOT on April 19th to be used to rebuild the McIntyre Bowstring Arch Bridge. The 1883 structure spanned North Skunk River until it was washed away by floods in 2010. Since then, painstaking efforts to raise money to restore the bridge were undertaken until the offer by the state agency, located in Ames, was brought to the table. Poweshiek County agreed to the proposal under the condition that Workin Bridges maintains the bridge over the next 20 years. 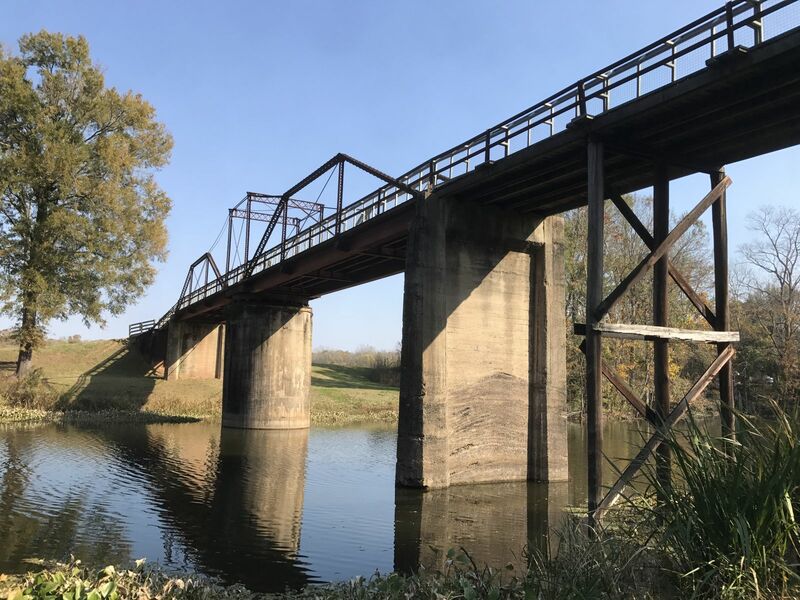 If all is approved and the restoration efforts start in the summer, the bridge could be back over the river and in service again by the fall of this year. In addition, a couple pony truss bridges from Carroll County may be heading to Poweshiek County to be reused for recreational reasons. When and where they will be relocated remains open, but the county is planning on replacing them this summer. More information from the Chronicles to come soon. The state of Oregon has a lot to offer: Lots of hills and mountains covered with luscious green pine trees and other forms of flora, all lined up along the Snake, Wilamette and Columbia Rivers and its numerous tributaries. And of course, with as many historic bridges as the states of Indiana, Ohio and Iowa. The state has a wide variety of historic bridges to choose from, regardless of bridge type, builder, age and especially, history. This includes the likes of the St. John’s Bridge in Portland, built in 1931 and spans the Wilamette River. Portland, the state’s largest city, has as many historic bridges as the number of bridges total in the Twin Cities (Minneapolis-St. Paul). There are the bridges that carry the famous coastal highway US 101, such as the Astoria-Megler Bridge over the Columbia River in Astoria and the Yaquina Bay Bridge in Newport. It is also not a surprise that with as many bridges (both built prior to and after 1945) as the state has, that one needs to document them to find out more about their historic backgrounds and determine their significance to the state’s history. 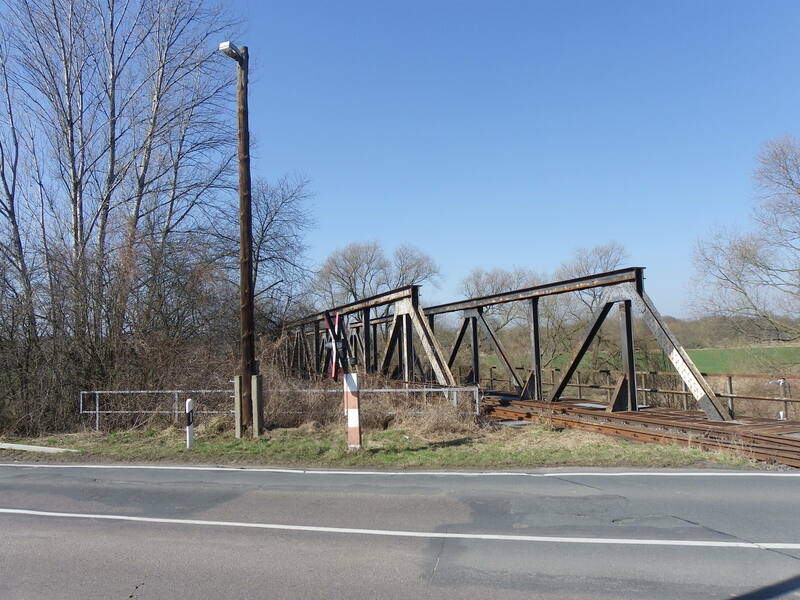 The Oregon Department of Transportation (DOT) conducted their bridge inventory and research in the 1980s and has started renewing its bridge inventory recently, finding some historic bridges that have some holes to fill in their historic background. This is where Rebecca Burrows of Oregon DOT needs your help. There are two bridges that she brought up to my attention while I was away on vacation. Both of them have records claiming that they were built in the 1950s, yet judging by their aesthetic appearance, they were most likely relocated to their present spots. A summary of both are presented below, each accompanied with photos taken by Michael Goff, also from Oregon DOT. One can discuss about this bridge as if determining whether the glass is half full or half empty. On the one hand, it is possible that truss bridges like this one were built during this time as steel was still plentiful and counties found ways to construct bridges that were affordable and appealing to the scenery surrounding it. Some examples of such bridges include: a pair of bridges over the Arkansas River in Chaffee County, Colorado, built in the early 1990s. 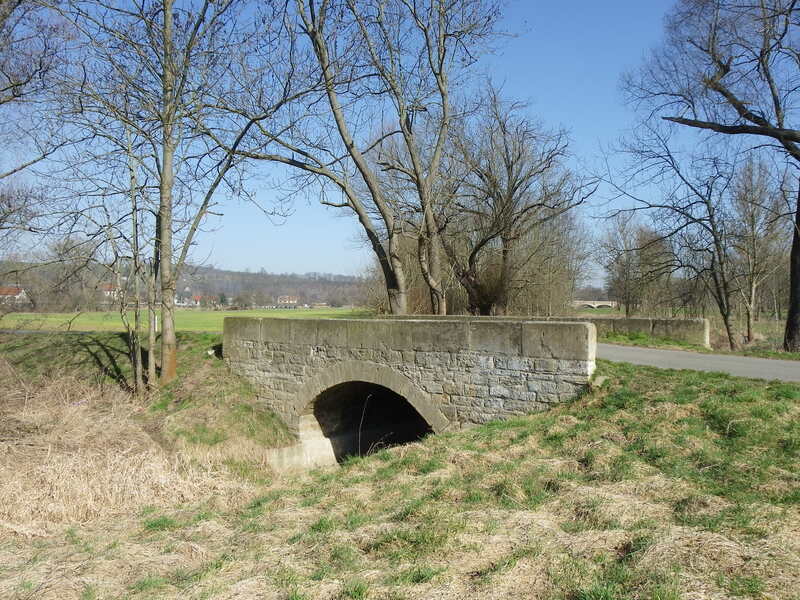 However it is possible that the bridge was relocated to this site from another part of the state because such truss designs were becoming rare, and most standardized bridge designs built after 1930 required vertical beams. Recent findings (including a plaque of the people involved in the construction of the bridge appear that the bridge was built between 1905 and 1925. In either case, the bridge is eligible for the National Register of Historic Places because of its design. However, more information on the bridge’s history- in particular determining whether the bridge was relocated here or not- is needed in ensure that the truss bridge is not converted into a pile of scrap metal, as the bridge is up for replacement at the time of this posting. Unlike the previous bridge, it is very obvious that this through truss bridge was relocated here for two reasons: 1. With a width of 16 feet, it would fall short of the requirements of having a bridge with a width of at least 28 feet, as the states introduced these requirements in the 1950s. And 2. The portal bracing would fail to meet the minimum vertical clearance requirements that were being enforced at that time, which was at least 15 feet high. In fact, beginning in the 1950s, highway through truss bridges with low vertical clearance and whose portal bracing had knee bracing were retrofitted to ensure that the vertical clearance requirements were met. This included replacing the portal bracing with those that are a third as deep as the original and cutting off the heel bracing. None of this was done on this bridge. Judging by the portal bracing and the riveted connections, it appears that the bridge was built between 1915 and 1925, at the time when standardized truss bridges with riveted connections were introduced, making pinned connected truss bridges obsolete. What makes the bridge look younger is the recent paint job that was done on the bridge, making it look like it was built in the late 1930s. This leads to the question of where this bridge originated from. While newspaper articles may help solve the mystery, people closest to the bridge are perhaps the most important source, for many of them may still be alive to explain the story of the bridge. The Bridgehunter’s Chronicles brings people and history together, bridging the past and the future by providing people in the present with information on historic bridges in the US, Europe and elsewhere. It is available through areavoices.com, and now through facebook, twitter, LinkedIn and flickr.